This Chef Basket is perfect for anyone who loves to cook! Its sleek design has more features than meets the eye. 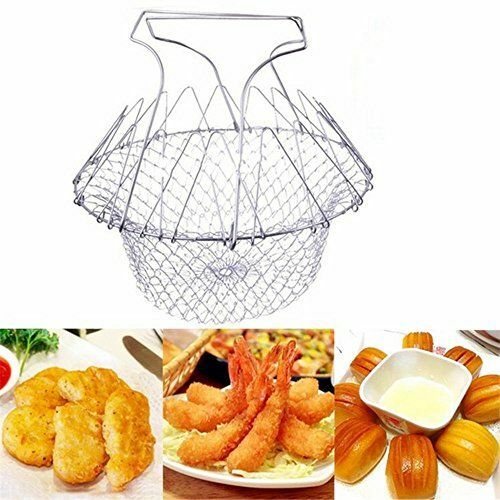 Cook, boil, steam or deep fry foods with ease. With endless options of what you can do with this Chef Basket, you can be sure it will handle anything you’re planning on cooking in the kitchen! Size:23cm x 23cm x 12cm - 9.06inch x 9.06inch x 4.72inch. Handle size:16.5cm x 12.5cm - 6.49inch x 4.92inch.